The Torah is the place of the Divine Presence in the age of exile, akin to the Beis HaMikdash. When a Rebbe says Chassidus there is a manifestation of the highest level of holiness, corresponding to that revealed in the Holy of Holies in the Beis HaMikdash. Once there was a wedding in Rodni and Reb Avrohom (the rabbi of Rodni), a Chossid of the Rebbe, the Tzemach Tzedek, traveled with my father (the Rebbe Rashab) to the wedding by wagon. My father took me as well. Since Reb Avrohom was one of the elderly Chassidim, and my father was young, Reb Avrohom saw fit to offer advice to my father and guide him in his role as Rebbe. At the beginning of my father’s leadership he delivered a Chassidic discourse based on the verse, “Today is the birth of the world,” and he interpreted in Yiddish, “Haint tzitert di gantze velt” (“today the entire world is trembling”). Reb Avrohom spoke with him about such things, and offered guidance in how to act. My father told him: When the Beis HaMikdash stood, there were ten levels of holiness, as is known, and the Holy of Holies was the most holy place. The High Priest would only go there on Yom Kippur. 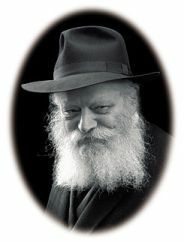 However, concerning the age since the Beis HaMikdash was destroyed, our Sages of blessed memory have stated that “G–d only has the four cubits of Jewish law.” In “the four cubits of Jewish law” there are also ten levels of holiness, and when a Rebbe says Chassidus, this is like the High Priest in the Holy of Holies. Thus, there is no question here. Shemu’os V’Sipurim, Vol. 1, pp. 202-203. From the Rosh Hashanah liturgy. In the Hebrew, “היום הרת עולם, היינט ציטערט די גאנצער וועלט.” The word הרת is being interpreted as related to the word רתת, trembling. See Sefer HaMa’amarim 5702, p. 10. Mishneh Torah, Hilchos Beis HaBechirah, 7:13-22. When it comes to faith in the Sages, the Tzaddikim, one person is a fool in worldly matters, possesses bad character traits, and does possess faith in Tzaddikim. Others are wise, and have good deeds, but nevertheless lack faith in Tzaddikim, and do not know the truth. The explanation is as follows: in every single generation there is a Tzaddik, for the world cannot exist without a Tzaddik, for “The Tzaddik is the foundation of the world.” However, if the generation is worthy, their Tzaddik will come to them in a revealed manner. If not, he will be hidden from them. But this too is surprising, for we see a person who has neither merits nor sins, and it is not possible to say that he is worthy—meaning, a 13-year-old. Why does he deserve to know the truth and have faith in the Tzaddikim? This is certainly not commensurate with his actions. If so, that which we know the truth, and possess faith in the Tzaddikim is not dependent upon our good deeds; as explained above, this stems from the root of the person’s Neshama. If so, we are not superior to those people who do not know the truth and oppose [the Tzaddikim]. They may well possess more G–dliness, for they perform many Mitzvos and good deeds. If so, it is not proper to be separate from them; rather, one should be united with them. Maamarei Admur HaZaken, Inyanim, pp. 299-300. Summary: The world cannot exist without a Tzaddik; however, some generations and individuals recognize the Tzaddik, while others do not. The reason for this difference in perception is that some people’s Neshomos have been refined through reincarnations, while others who have not refined themselves sufficiently in earlier incarnations have not merited this yet. This teaching would seem to perfectly explain the difference between misnagdim and chassidim! Think about it. A person comes to the Rebbe. It’s an emergency. Should he follow the doctor’s advice to operate on his child. Rebbe, I’m asking for your berocho. I’m relying on you. 1. A megalomaniac, someone so power-hungry and giddy with excitement at the adulation that he receives that he can willfully ignore the safety of the child that common sense dictates should be left in the doctor’s expert hands. Even without the concept of emunah in Tzaddikim because the Torah tells us so—just from a purely logical perspective—there is no third possibility. If the person is not aware of what he is doing, or imagines that he is aware when in fact he isn’t, then by definition he is a megalomaniac. This can be compared to the actions of Avrohom Avinu. How could he have brought Yitzchok to the Akeidah, fully intending to slaughter him, on the basis of a prophetic vision? Perhaps he erred in his perception, perhaps it was not correctly interpreted, perhaps it was from Kelipah (evil)? One of the commentators answers that this proves that he when he experienced the divine revelation, it was in a way that he was completely confident that it was from Hashem, in a way that left no room for doubt. Because being a decent person, and in fact an indefatigable campaigner for morality, Avrohom would never have gone to the Akeidah had he not been sure as can be that Hashem Himself had commanded him to go. In (Zohar,) Raya Mehemna, Behar 111b it is written, “When a person knows G–d in a general manner, then he is called a slave. When he knows G–d in a specific manner, then he is called a son, His beloved one, like a son who (has permission) to search in all the hidden things and in all the secrets of the house.” In Ohr HaChamah of the Ramak (it is explained that) it is the one who has a Neshama of Atzilus who knows all the hidden things and all the secrets of the house. ... However, if he only possesses a Neshama of B’ya (Beriah, Yetzirah, and Asiyah), meaning that he knows G–dliness only according to intellect, then he only knows G–d in a general manner, and he does not have the permission to seek in all the hidden things. Sefer HaMa’amarim 5766, p. 157. As explained here, the difference between Atzilus and B’ya is that in Atzilus there is open revelation of pure G–dliness (this is also known as Hasogas HaMehus—“grasping the essence”), whereas in B’ya, although G–dliness is recognized as the true reality, it is not apprehended tangibly (this is known as Yedias Ha’metzius—“knowing the existence”). All Neshomos stem from Atzilus, and ultimately from the highest level in Atzilus, that of Chochmah. If so, why are some Neshomos called Neshomos of B’ya, and others called Neshomos of Atzilus? The answer, as explained in numerous places in Chassidus, is that all Neshomos descend from Atzilus through B’ya, and down into our lowly world. The difference between a Neshama of Atzilus and of B’ya is that the former is not affected by this descent, and thus senses and in a way reveals the pure revelation of G–dliness that occurs in Atzilus even while he is in this world. The latter, in contrast, is affected by the descent through B’ya, and is thus associated with the worlds of B’ya. How does this fit with the topic of Tzaddikim? Here the Rebbe discusses these two levels of Neshomos. In this connection, the Rebbe quotes the Rebbe, the Tzemach Tzedek, who writes in a gloss on a discourse of the Alter Rebbe that the Baal Shem Tov was a Neshama of the former type, one that is not affected by descending into this world. A little further down, the Rebbe explains that this level (known as “the fish of the sea”; G–d willing I will explain this in a future post) is also the level of the Neshama of Atzilus. The Rebbe then states, “Since he writes so concerning the Neshama of the Baal Shem Tov, it is understood that the same is true of all his successors.” The Rebbe then quotes the similar statement of the Rebbe Rashab, who said concerning the Alter Rebbe that he was a Neshama of Atzilus. All this would appear to shed further light on the topic of the Tzaddik’s full access to secrets (whether intimate familiarity with divine greatness, as discussed in the Zohar, or with future events, as discussed in the story of the Maggid), and thus follows nicely on from the previous posts. Thus, G–d’s statement concerning Moshe Rabeinu, “In all My house, he is trusted” apparently means that he has access to know all the secrets, but he doesn’t reveal. The reason that he has this access, says the Ramak, is that he is a Neshama of Atzilus, and thus apprehends G–dliness in a detailed and real way. This also ties in with the earlier posts concerning infallibility, which revolve around the theme that the Tzaddik is not merely someone greatly more pious and refined than the average person, but a fundamentally different Neshama, one with access to a perception of divine reality that all the rest of us, mere Neshomos of B’ya, can never attain (at least, not until Moshiach redeems us). In other words, it’s not only a difference in degree, but in kind. See Tanya Kaddisha ch. 2. There may be lower levels of Tzaddikim than the ones described here, but this post will focus specifically on the level of the Baal Shem Tov, the Maggid of Mezeritch, and the Rebbes of Chabad, who are considered in Chabad teaching to be the main successors of the Baal Shem Tov and the Maggid. Sefer HaMa’amarim 5712, p. 210. Now is not the occasion to elaborate upon the details of this discourse; I will quote briefly certain points for the purposes of this post, and post further explanations in later posts, G–d willing. See Sefer HaSichos 5691, p. 175. In general, in the recent period the Rebbe revealed many concepts, although once not so much would be revealed. In the sicha of Pesach of last year, the Rebbe, my father in law, said that he had decided to reveal something that until now he had not revealed. He added, “although this is relevant to me, it should be said with self sacrifice.” Here we see that for the sake of something that was relevant to the entire community he put himself on the line, and even put his trustworthiness on the line! Last summer there was some tumult concerning war, and many people were cautious about doing business dealings. A rich Jew, who would donate a great deal of money to the charity fund, decide to ask the Rebbe’s opinion whether to be concerned about the coming of a war. 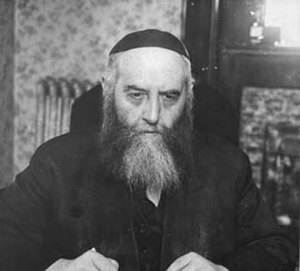 This Jew had a brash confidence, since he was “raised in America.” Still, he did not want to ask the Rebbe this question himself, so he phoned me and asked me to ask the Rebbe whether in his opinion, there would be a war, for then he would not do the business. 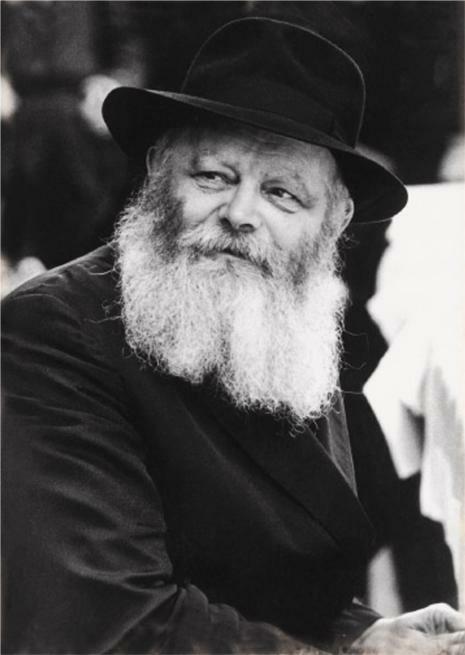 Since I too wished to know what the Rebbe would respond to this question, and on the other hand, I am only a conduit to transmit the questions of others, there would be no room for displeasure [on the part of the Previous Rebbe], so I came before the Rebbe and asked this question in the name of that person. The Rebbe lifted his eyes, gazed at me, smiled, and said, “no war is seen” (“es zet zich nisht kein milchomo”). 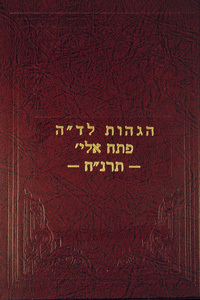 Toras Menachem 5710, Vol. 1, pp. 150-151. There are many stories of the Rebbe in which he told someone not to take a plane flight or the like, and then the plane ended up crashing. For example, there is the famous story in which the Rebbe told Ariel Sharon not to take the next flight. That El Al plane was hijacked. The obvious question that arises is: If the Rebbe knew, why did the Rebbe suffice with warning him not to take the flight, without explaining his advice, or better yet, warning the airline about the danger so that all the other passengers would be saved as well? When the Rebbe, my father in law, said things that were intended to forewarn and provide guidance concerning the time after his passing, they were not said explicitly. The reason for this is, as it is written of Moshe, “in my entire house he is trusted.” This trust is explained in the holy books. How can one speak of trust, when it is not possible to take anything? This trust is expressed in the fact that not everything that one sees does one reveal. There is a story of the Maggid [of Mezeritch] ... that once one of his students entered to part with him before travelling home, and the Maggid told the Holy Society [i.e., his other students] to prevent him from travelling. They tried to stop him, and when they did not succeed, they told him that this was in fact an instruction of the Maggid himself. The Chossid could not believe this, since the Maggid himself had parted with him. So he went to part with him again. The Maggid bade him farewell again, and when he left, he berated them as a Chossid can, saying, “Don’t you see that the Maggid bid me farewell again? !” Then the Maggid returned and told the Holy Society again to stop the student from leaving. He went to the Maggid again to part with him, and they tried to stop him again, and this recurred several times. Finally he did not listen to them, and left, and when he arrived home, he passed away. They went to the Maggid and asked him, if he knew, why didn’t he tell him explicitly not to travel? The answer was “in my entire house he is trusted”—not everything may be revealed. Once someone asked concerning the fact that in HaKeriah VehaKedushah [a Chabad booklet distributed in the time of the Previous Rebbe] the [Previous] Rebbe wrote predictions of the future. He asked, “Why were they written in the form of a hint, and not openly? And why did he stop predicting the future after a certain period had passed? The explanation is: If the [Previous] Rebbe had wanted to become certified as one who can predict the future, he would have done so, but [he didn’t, because] this is not his purpose at all. Toras Menachem 5710, Vol. 1, pp. 149-150. Maamarei Admur HaZakein—Es’halech Liozna p. 1. Cf. 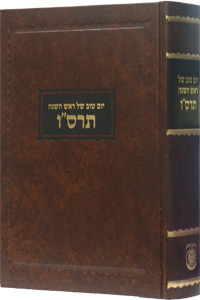 Toras Menachem 5710, Vol. 1, p. 81.